Canon 500mm f/4 L IS lens with the 1.4X II TC and the Canon EOS-1D MIII on the Mongoose M3.5 atop the Gitzo 3530 LS CF tripod (with legs splayed). ISO 400. Evaluative metering +1 2/3 stops: 1/400 sec. at f/5.6. It pretty much never fails; getting low (and wet and muddy) will add intimacy to your images. The strongly de-focused foregrounds and backgrounds that result from getting right down on the ground set off the subject beautifully. 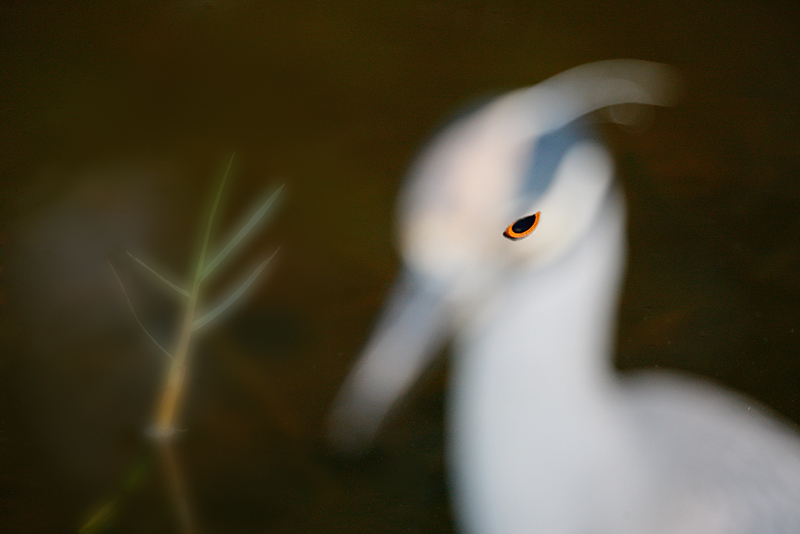 Here, I selected an off-center sensor to get the bird out of the middle of the frame. With only seven participants, virtually perfect weather, and almost unlimited photographic opportunities this IPT was a huge success. 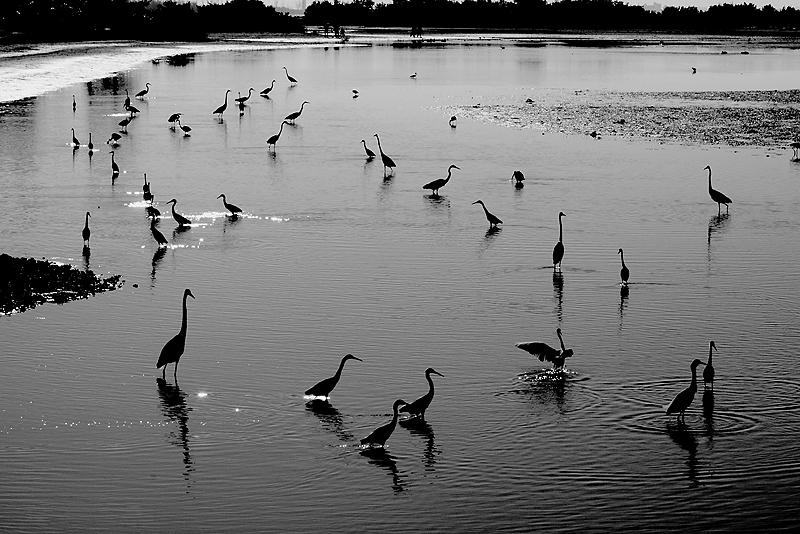 A new moon that was unusually close to the earth caused a series of extremely low morning tides and thus Little Estero Lagoon was packed with birds feeding on small baitfish in the shallow waters; we spent three of our four mornings there. 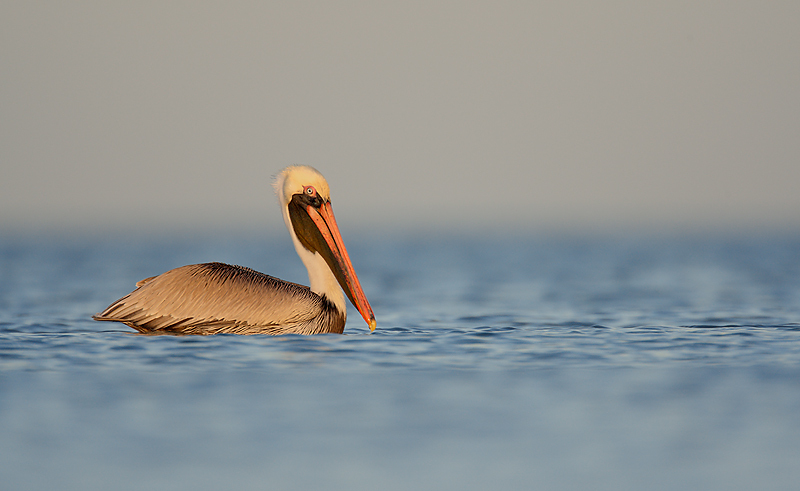 We had a good morning at Venice Rookery, a great afternoon with the White Pelicans and more on Marian Schneider’s pontoon boat in Gasparilla Bay, a great afternoon with the Burrowing Owls at Cape Coral, a great afternoon at the Sanibel Fishing Pier, and a nice sunset at Ding Darling. Dr. John Brown who had signed on for three days was called away on business on Day 3. Richard Dumoulin, a fine photographer, and non-photographer spouse Manon, from Montreal, joined us on Day 2. Chuck Fritsch and Cynthia Walpole, both very good photographers and Photoshop experts, were there for the whole nine yards (four full days), as was eager beginner Linda Holloway. (Linda had signed up for only three days but she learned so much and had so much fun that she re-upped.) Tom Dyring (say “DOO-ring” with a ringing “r”) came all the way from Norway for four full days but had to leave on Day 4 as his daughter, who lives in Miami, gave birth to a new grandson for Tom on Monday. The inimitable Jackie Leader (also from Miami) who was attending her third 2008 IPT was aboard for the four full days. As you might expect Jackie has really improved her photography. This was the first ever SW FLA IPT that did not spend the first day at Venice Rookery because I had scouted Little Estero the morning before the IPT began and found the conditions there to be spectacular. Folks often ask, “Why don’t IPTs feature set-in stone schedules?” The answer is that on any given evening I may not even know where we will be headed the next morning. When I wake, I consider the wind, the light, the tides, and the local conditions so that I can place my group in the best location to maximize the photographic opportunities I always explain why I have chosen one place over another so that the participants will learn how to assess conditions when they are on their own. Canon 70-200mm f/4 L IS lens (handheld at 185mm) with the Canon EOS-1D MIII. ISO 800. Program mode (not sure how that happened!). Evaluative metering +1 stop: 1/500 sec. at f/7.1. 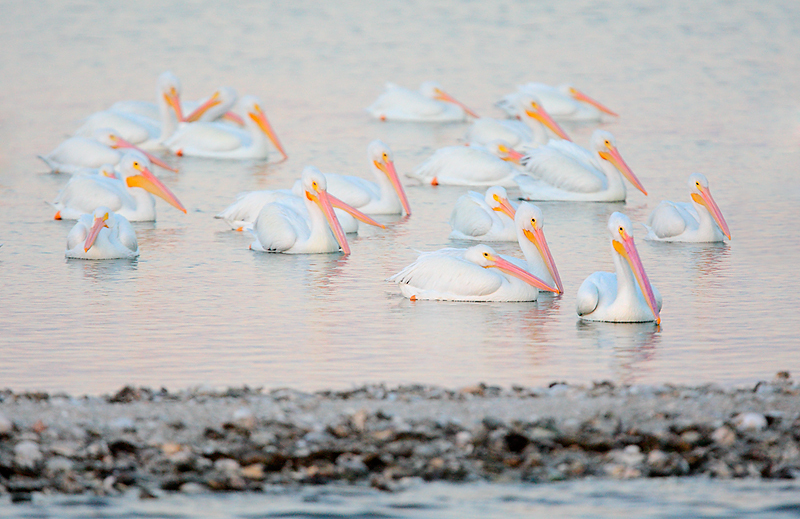 The White Pelicans roost on this small spit for protection against ground predators. An afternoon trip on the large Grande Tours pontoon boat will always be rewarding. Visit http://www.grandetours.com/photography.htm to learn more or to book a sunset cruise for yourself or a small group of photographers. 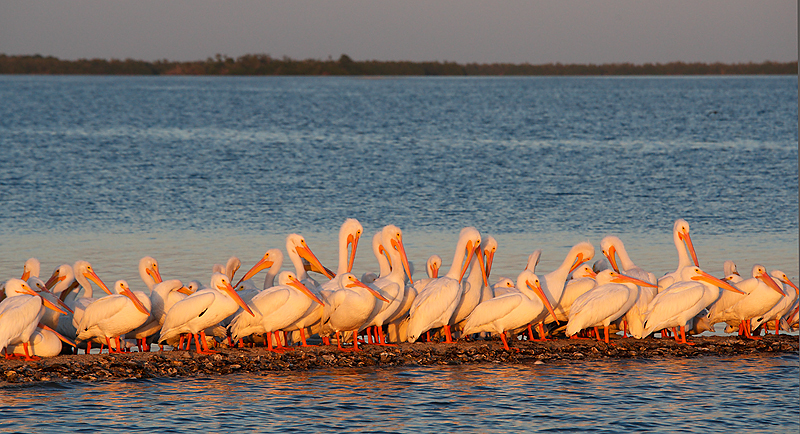 After a morning at the Venice Rookery, an afternoon on Gasparilla Bay with the White Pelicans is a perfect fit. As seen above, we had very sweet light. Canon 400mm f/4 IS DO lens (handheld) with the Canon EOS-1D MIII. ISO 1600. Evaluative metering +2 stops: 1/500 sec. at f/4. The soft pastel colors and the serene mood combine to ensure the success of this image. I used a QM to eliminate a bird or two on the frame edge and then used another QM to sharpen the bird in the lower right corner with a contrast mask. To learn about all of the above plus our complete Digital Workflow, check out Digital Basics here: http://www.birdsasart.com/digitalbasics.htm. To learn advanced Quick Masking techniques, check out Robert O’Toole’s APTATS CD here: http://www.birdsasart.com/aptats.htm. I just want to take a moment to let you know that Manon and I really appreciated the Post X-mas IPT. 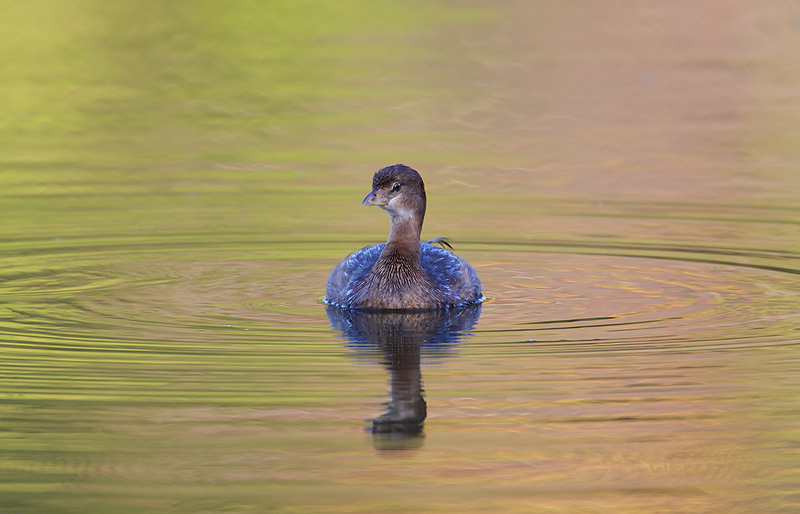 I learned more in 3 days about bird photography on this IPT than I did in a year! I have become conscious that photography is more than opening the shutter at the right time: the sun, the wind, the location, the birds, the technical details, everything counts when you want to make the best photo! I am amazed with the photos that I was able to make during the 3 days with your help and in the next weeks I will go over every single thing that I learned. Thumbs up to you, Alfred and Fabiola; you are a great team and your passion is contagious! One last point: birds, birds and birds! The photo opportunities were excellent, not to say astonishing and I am not just talking about the wonderful sunrises! I really enjoyed seeing and photographing all those birds! Bonne année 2009 ! Je vous souhaite santé, amour, succès et de merveilleuses photos ! ps: I took more than 5000 photos on my trip. We just arrived home yesterday. It will take me some days to go over all of them but I have included four images that recognize my improvements. I really enjoyed the IPT. I still can't believe how close we got to the birds. I have been looking at my pictures and I see that I still have a lot to look out for. I did see some pretty good ones. I now have to learn how to optimize them in Photoshop. I have been reading threads in several of the BPN forums on various topics. I have a lot to learn! I will soon upload a picture to the Eager to Learn forum and see what happens. I read the thread on how to get an image ready to upload to BPN. I understood everything except how to sharpen the pic. I will keep trying. Take care and thanks for the great time taking pictures of birds. I loved it!!! Canon 70-200mm f/4 L IS lens (handheld at 106mm) with the EOS-50D. ISO 400. Evaluative metering at zero: 1/2000 sec. at f/7.1. The link in BAA Bulletin #281 was corrupted; not sure how…. (Typing the URL into your browser, however, did work.) To see the kids’ great work, click here: http://www.naturesbeststudents.com/. You do not want to miss it. (You can find the original text by clicking here: http://www.birdsasart.com/bn281.htm and scrolling down. Canon 600mm f/4 L IS lens with the EOS-1D MIII on the Wimberley head atop the Gitzo 3530 LS CF tripod. ISO 800. Evaluative metering -1/3 stop: 1/125 sec. at f/4. For the past fifteen years, it has been rewarding to be seen as the authority on all matters concerning bird photography. Over the years I have answered many, many thousands of e-mails dealing with equipment choices, in-the-field techniques, locations, workflow issues and Photoshop techniques, books and educational materials, and just about anything else that you might care to think of. As of late, the volume of e-mails that I receive that need my personal attention has become almost overwhelming. If you e-mail most top professional nature photographers, you will most often receive a form response thanking you for your interest but stating that Mr. Famous Nature Photographer is away on assignment and regrets being unable to answer your e-mail. I hope that that situation never comes to pass here at BIRDS AS ART. Much of the problem has to do with the fact that many folks are simply not taking advantage of the wealth of educational information that we offer before they e-mail me. 1-The Bulletin Archives here: http://www.birdsasart.com/bn.html. This valuable resource is totally free. It has a great Google search feature; simply type in what you are looking for and you will be provided links to various Bulletins that cover the material you are seeking. 2-The Art of Bird Photography II (916 pages on CD only). http://www.birdsasart.com/ABPII.htm. 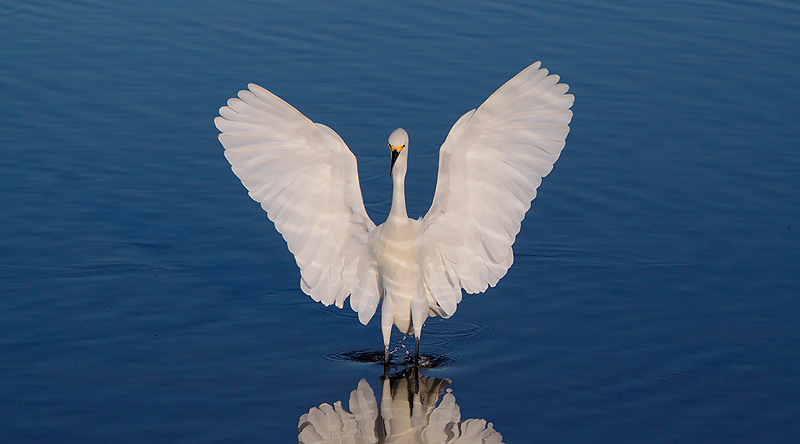 The all-new digital continuation of the original “The Art of Bird Photography” (see same below) contains an incredible wealth of information that can help you become a better nature photographer. ABPP II has a great Adobe Acrobat Reader search feature. Again, all that you need to do is type what you are looking for into the search box and hit “Find Next.” You will be taken to each spot in the text where your desired subject is mentioned. 3-The original “The Art of Bird Photography” is once again available in soft cover after being reprinted by BIRDS AS ART books: http://www.birdsasart.com/books.html#ABP_softcover. This classic book covers all of the basics; it’s coverage of Exposure Theory is legendary and should not be missed by any serious photographer. 4: Digital Basics (http://www.birdsasart.com/digitalbasics.htm) includes the complete BAA Digital Workflow and tons of great Photoshop tips. I hope to have the new update ready to go in early February. Updates are free for life. My life anyway. 5: There are several great BirdPhotographers.Net forums that can be of help to folks seeking good information. There are lots of great tutorials in the Educational Resources Forum here: http://birdphotographers.net/forums/forumdisplay.php?f=30 In addition, you can get most of your questions answered in the following forums: General Photography Discussion, Photography Gear, and Digital Photography Workflow. You can access each of those via a link on this page: http://birdphotographers.net/forums/index.php. Lastly, the Eager to Learn Image Critique Forum is a great place for beginners to post their images. They will receive lots of great advice from the honest critiques done gently. To sum up, before you e-mail your questions please take a few minutes to try and find your answer as outlined above. In that way, I will be able to continue answering interesting new questions dealing with all aspects of digital nature photography. Thanks for considering this request. Canon 500mm f/4 L IS lens with the 1.4X II TC and the Canon EOS-50D on the Mongoose M3.5 atop the Gitzo 3530 LS CF tripod. ISO 800. Evaluative metering +2/3 stop: 1/100 sec. at f/5.6. RW: I have religiously followed your Digital Basics work flow - Downloader Pro/BreezeBrowser and Photoshop, which is similar to the work flow of John Shaw, and many others. However, today more and more photographers seem to be using Lightroom in place of, or in addition to, Photoshop. I believe that John now includes Lightroom in his work flow, although he doesn't mention it in his E-book, John Shaw's CS-3 Guide. I think that many readers of your Bulletins would be interested in your views on Lightroom and why you choose not to use it at the present time. AM: #1: It is hard to teach an old dog new tricks. #2: My images look pretty good to me <smile> #3: The cataloguing stuff with images here or not here or there with importing or not importing is way scary for me…. #4: Alfred and Fabs Forns use it and do a session on it during most IPTs and I have been impressed with some features. I will get a personal taste of Lightroom at the Lepp Institute (LIDI) programs this month. Till then, I do not feel qualified to comment much. #5: Robert O’Toole has purchased Lightroom and says that it is not much different from ACR (Adobe Camera RAW) and that he almost never uses it. J/UC: One other thing about the Mongoose is that the main arm seems to be a bit “springy”', that is when we tested it against the Arca Swiss B-1 on a rushed shot, finger press with no preparation, the Mongoose caused a little blur, it had a little give, but the B-1 did not cause blur, and was quite stiff. AM: It sounds as if the blur you describe is likely being caused by operator error—see more below. I simply cannot live with ball-head flop. J/UC: Also, it did not seem on the Mongoose that you could lower the lens towards the top of the tripod to create a lower centre of gravity, as you can with a Wimberley. AM: You are correct about the center of gravity but do note that the Wimberley is way-overkill for the 100-400 lens. I must say, however, that you are pretty much missing the point with the Mongoose. When using my M2.3 with either the 100-400 or the 70-200, I never try to tighten the head down before shooting, and my personal M2.3 will not tighten down all the way even with these relatively light lenses. I set a bit of tension on both the vertical and horizontal panning and use the Mongoose sharpness technique that is illustrated on page 468 of ABP II. That said I have never had a problem making sharp images down to 1/60 second (or even down to 1/30 second at times....) when using any of the smaller intermediate telephotos on the Mongoose M2.3. I have been using my M3.5 with my 500mm lens for nearly three years now and recently used it at Bosque with the 800mm f.5.6 lens and have made sharp images without a problem. The M3.5 can be locked down so that it does not move when you carry it. You can learn more about the M2.3 and the M3.5 here: http://www.birdsasart.com/mongoose.htm. Learn about the Wimberley V2 head here: http://www.birdsasart.com/accs.html#WIMBERLY. Scroll down for info on Wimberley plates, flash brackets, and other accessories. L: I will be going to Costa Rica in February. I own a Canon rxi. AM: Is that the correct name of the camera? I would strongly recommend upgrading to a 40D or a 50D. L: I would like to purchase a telephoto lens for birding. I'm looking at the Canon 300 f/4L IS for this venture. AM: That would seem to be a good choice. Do you use a tripod? A flash? L: I am an amateur at bird photography but am going in that direction as a hobby. I could use some useful information from you. C: I have a few questions I hope you might be able to help me with. I have been looking at your bulletins and have noticed that in quite a few of your great pics you state that when you are in manual mode you use an evaluative meter reading off the sky and then add or subtract f/stops. What does this mean? And how do you do this in detail? I am fairly new to this. Sorry. AM: Go to the Bulletin archives and do a search for “Working in Manual Mode.” It is all explained there in detail. I wish that I had the time to do the search for you or even to re-write the whole thing but I simply do not…. C: I have also noticed in looking at many of your amazing pics that seem very similar that you use many different shutter speeds. Why is this and how do you pick the correct shutter speed? AM: That is a very complex question. In general, I try to use shutter speeds of 1/500 sec. or faster with moving birds, and greater than 1/60 sec. for birds that are still (though beginners should try to get their shutter speeds above 1/125th or even above 1/250th to ensure sharp images… For blurs I usually use shutter speeds from 1/8 to 1/60 sec. C: I am just looking at taking the plunge for a more advanced camera as well. I will mostly be doing wildlife portraits of deer and elk and also some bird photography. I only have enough money to do this once and I would like the best bang for my bucks. I am looking at either the 40D or the 50D. I am wondering if the extra pixels in the 50D are worth the difference in the cost for an amateur. C: I will only be able to afford one lens for right now and was looking at the 100-400 IS lens. What are your thoughts on this set up or should I look at other options? 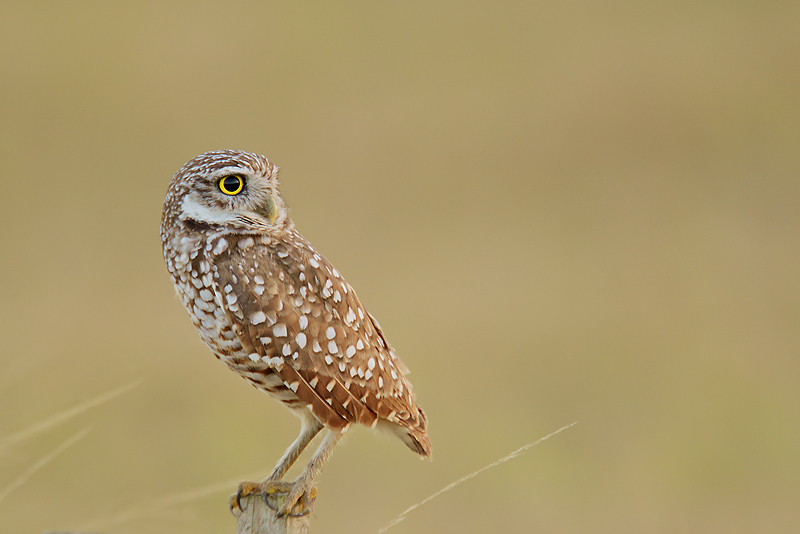 AM: With you wanting to do wildlife and birds and having a limited budget that seems like an excellent choice for you. C: Any info you have or would like to shed light on that I might be overlooking would be great. I am open to any and all suggestions you may have. Thank you in advance for your time. And great web site. J: I appreciate your Birds as Art e-mails and all I have learned from them. I am constantly amazed at the quality of your bird photography. AM: That is good and thanks for your kind words. J: Lately, I have been unsatisfied with all of my in-flight images as far as sharpness goes. I was using my Canon Digital Xsi and Xti cameras and my Canon 100-400mm IS f5.6 lens. It was working in bright sunlight and shooting at ISO 400 at 1/800 sec and f8 and also at ISO 200 at a similar shutter speed and f5.6. The sharpness just didn't appear to be there. I was also using IS and autofocus. I always thought 1/800 sec would be fast enough, but I have started questioning this. The birds, Bald Eagles, were gliding towards me just overhead. 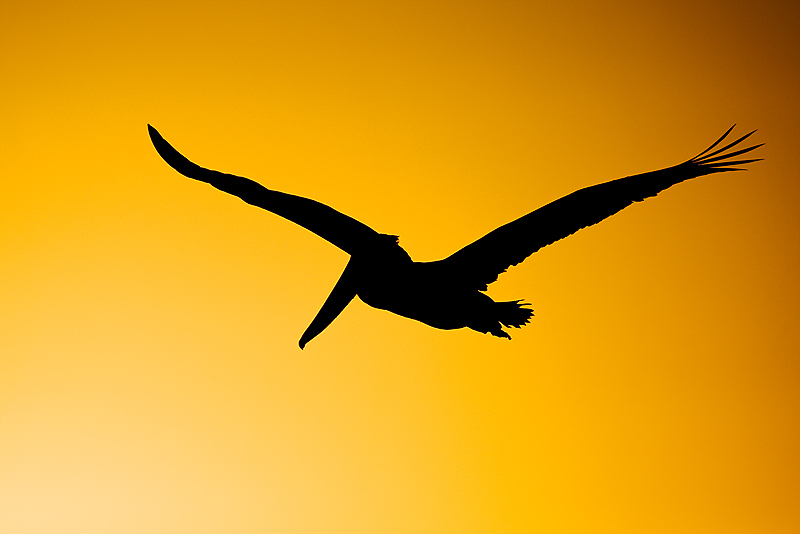 AM: 1/800 second should be fast enough to create reasonably sharp images of birds in flight. Are you using One-Shot AF or AI Servo AF (and do you know when you should be using each)? J: Today I came across a web site that mentioned a guy who did not like the Canon 100-400mm IS lens because it is not a sharp lens. .
AM: I can assure you that the lens is sharper than he is…. J: I went to his web site and he shows tests of the 100-400IS lens versus the straight Canon 400 non IS f5.6 lens. The straight lens was clearly superior in sharpness. AM: Yes, the 400 f/5.6 is surely a bit sharper than the 100-400 but I have made thousands of professionally sharp images with the 100-400 even wide open at the long end….. To see if your lens is sharp, tape some newsprint to an outdoor wall, mount your lens on a tripod, use One-Shot AF, take some images and see if they are relatively sharp…. J: Since I am very particular about my shots and like to crop in tightly as possible. AM: That is generally not a good plan as the bigger the crop the fewer the number of pixels you are left with. J: I like to make large prints; can you confirm that I should be shooting with the prime lens vs. the zoom lens? AM: As I am not sure what you are doing or how good your techniques are, I cannot recommend the purchase of the 400mm at this point. I would pretty much bet that you would continue to make unsharp images if you purchased the 400 f/5.6 L lens. (Did you know that all images that come out of digital cameras do not look very sharp and need to be sharpened for final use after being re-seized???) Also, I am not very sure of AF with the camera that you are using. I would recommend investing in an EOS-50D. J: That is, can you confirm that you have seen a difference in quality between these two lenses? AM: A very small one. J: I was going to try to go back and shoot at a higher shutter speed, but then why bother if it wouldn't make any difference, especially if I had to go to a higher ISO or lower f-stop. Canon 70-200mm f/4 L IS lens (handheld at 75mm) with the EOS-50D. ISO 400. Evaluative metering -1/3 stop: 1/640 sec. at f/22. I noticed this backlit scene when I walked to a small pier to hang out with Chuck Fritsch who was taking it a bit easy while recovering from a recent surgery. Note most of the rest of the group at the top of the frame. I reduced the Saturation to enhance the B&W look. Canon 600mm f/4 L IS lens with the 1.4X II TC and the EOS-50D on the Wimberley head atop the Gitzo 3530 LS CF tripod. ISO 400. Evaluative metering +1 stop: 1/200 sec. at f/5.6. Schedule/Tuesday-Friday (all times approximate): Dawn till mid-morning (weather permitting): In-the Field Instruction and Photography/Morro Bay. 11am: lunch. Noon till 1:30: break. 1:30 till 3:00: Photoshop sessions and image review and optimization. 3 pm till sunset: Either In-the Field Instruction/Morro Bay photo session or Photoshop/Printing sessions. Dinner: as time permits… Evening sessions (daily except Friday): after dinner till 9pm . The length of the various sessions may be changed at any time by the instructor to best meet the needs of the group. Canon 70-200mm f/4 L IS lens (handheld at 150mm) with the EOS-50D. ISO 400. Evaluative metering at zero: 1/1250 sec. at f/9. POST-NANPA 2 ½ DAY BOSQUE IPT. FEB 22-24, 2009. 2 1/2-DAY: $799. Limit: 15/Openings: 3. Co-leader: Jim Heupel. Best combined with my Sunday morning NANPA Summit program: "Photographing Bosque Del Apache: In-the-Field Strategies and Post Processing Techniques" Sunday FEB 22, 2009. (Registration for the Sunday program through NANPA only.) Photograph Sunday afternoon till sunset and all day Monday and Tuesday. Bear Boat #1: June 4-10, 2009. Openings: 3. (It is advised that you be in Anchorage on the afternoon of June 2nd to be assured of not missing the boat!). This trip will feature an afternoon (and possibly more) of otter photography (weather permitting), Bald Eagles with chicks in the nest probable, puffins possible, and lots and lots of coastal Brown Be ars clamming and eating luscious green grass. Bear Boat #2: Sept 4-10, 2009. Openings: 3. (It is advised that you be in Anchorage on the afternoon of the September 2nd to be assured of not missing the boat!). This one is the bears catching salmon trip. In addition, Glaucous-winged and Mew Gulls eating roe are a certainty. Dark phase Northern Fulmars and Black-legged Kittiwakes (including the gorgeous immatures), Harbor Seals, and Stellar’s Sea Lions are likely. Did I mention bears catching salmon? And more bears catching salmon? Australia Birds, DEC 2009. Please e-mail us at birdsasart@att.net or birdsasart@verizon.net for details, costs, cancellation policy, and itinerary. Canon 400mm f/4 IS DO lens (handheld) with the Canon EOS-1D MIII. ISO 250. Evaluative metering +1/3 stop: 1/8000 sec. at f/4. 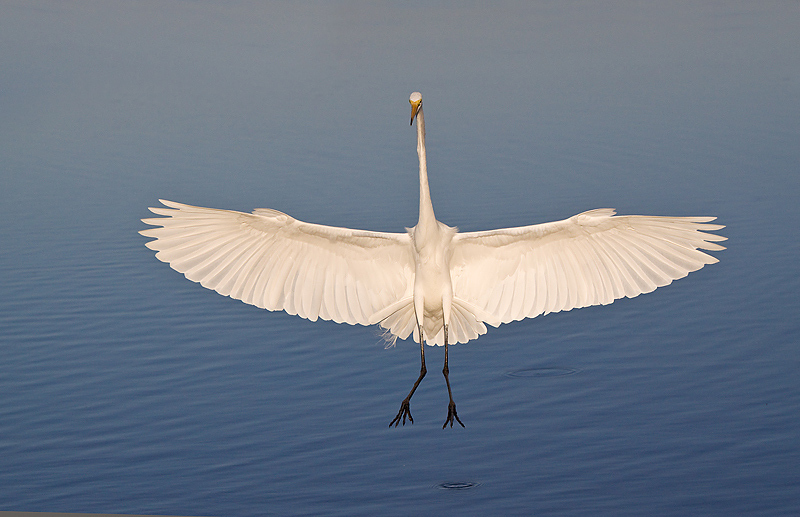 This image was made just minutes after the Snowy Egret image above. Part of improving as a nature photographer is being able to see, evaluate, utilize, and love the light.